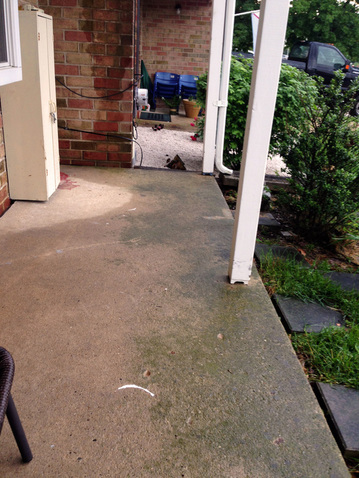 Your front porch looks amazing! Nice refresh. Those railings look great. Looks great. Also like how you landscaped in front of it. 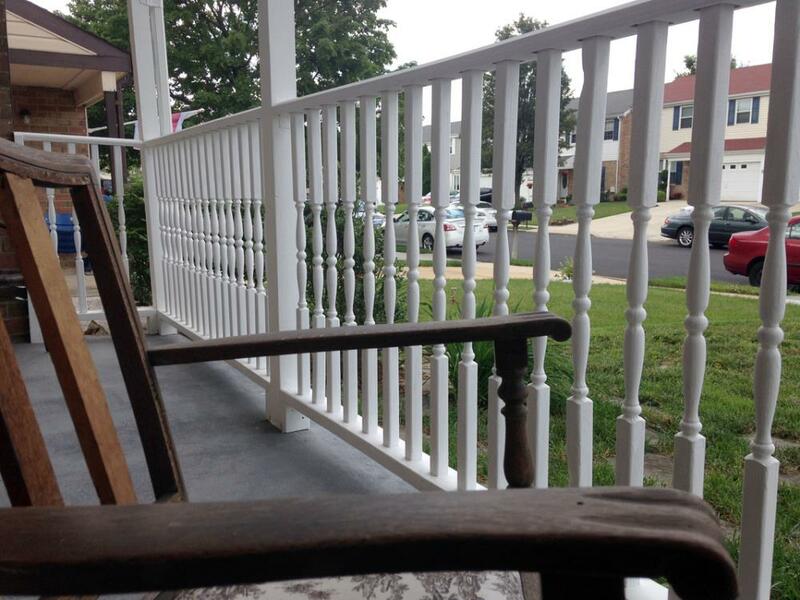 Your porch with the new railings looks so nice. Love your landscaping too. I’m popping over from Amaze Me Monday. Wow! Looks great- what a difference! The porch railings really make your porch homey and a place I’d want to relax. Don’t you love it when a project turns out how you pictured it in your mind? Looks great! 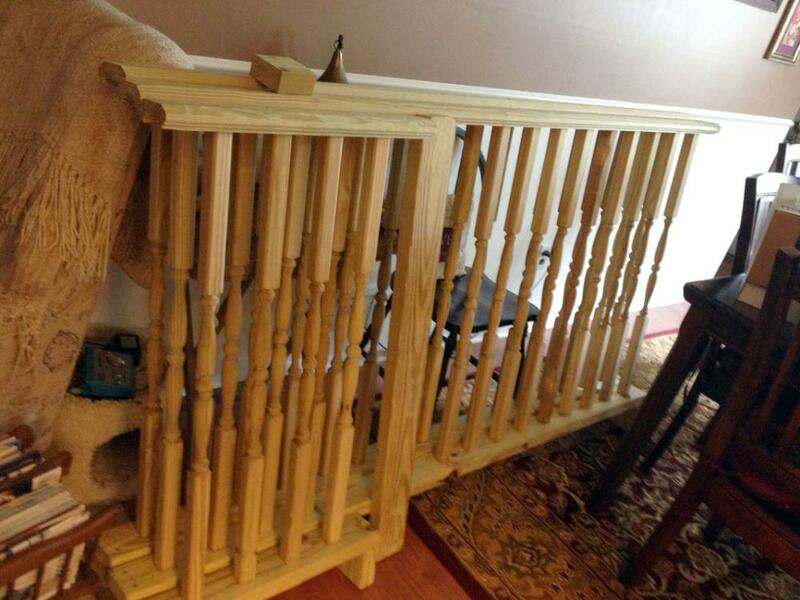 Wow – I can’t believe the difference the railings make! It looks a thousand times better! This project made a big difference in the appearance of your home. 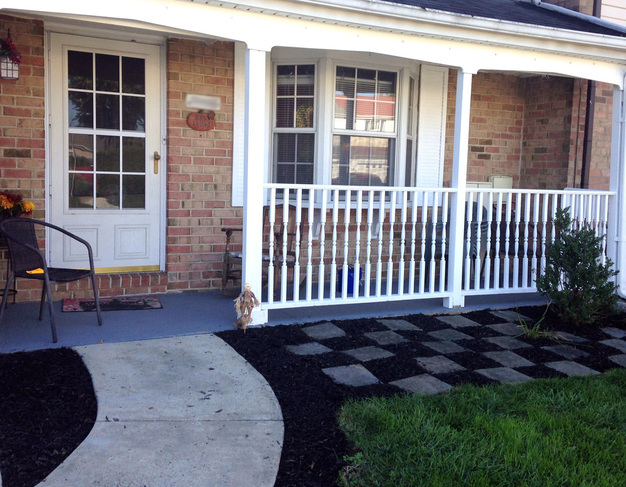 The railings define the space and give a more finished look to your porch. Love what you’re doing with the landscaping, too. 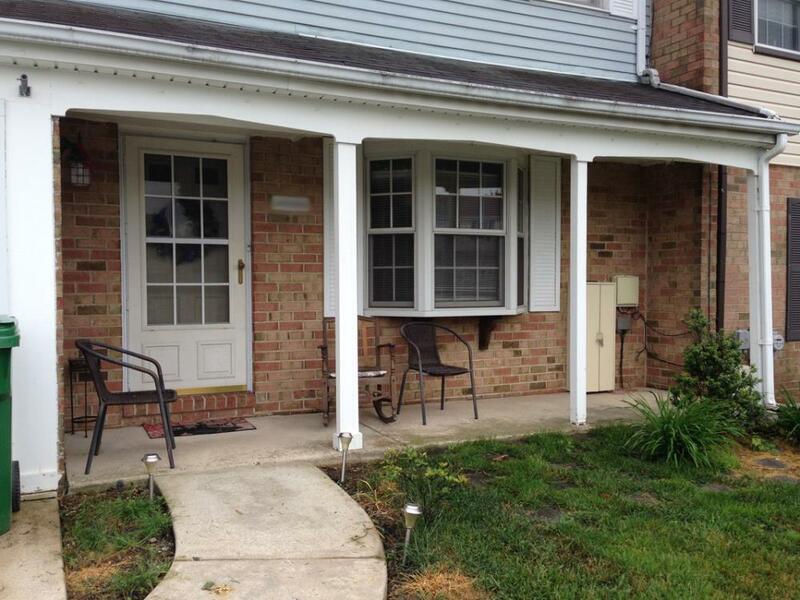 Our front porch is very small but we’ve been thinking of adding a small railing. Yours is very nice and has convinced me that we should go ahead with it. Thank you for sharing with us this week at Celebrate Your Story, have a great week. Wow! What difference! Great job! 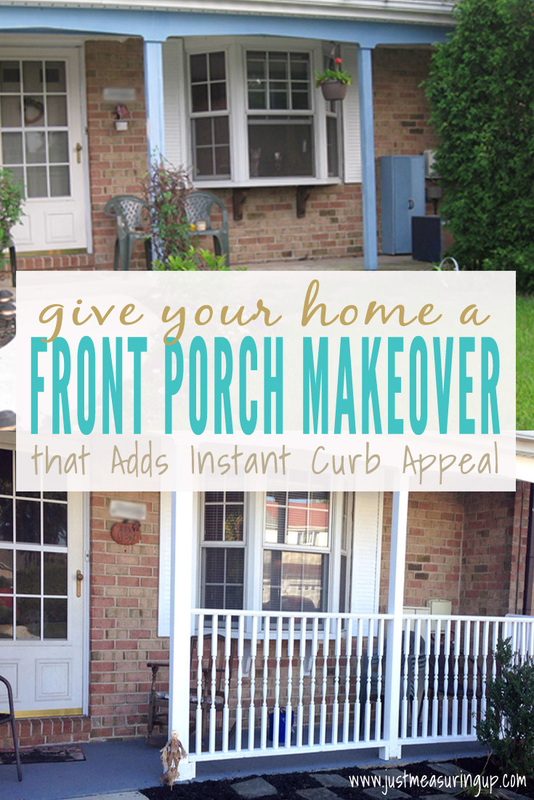 Those porch railings and the white paint make a HUGE difference in your curb appeal! 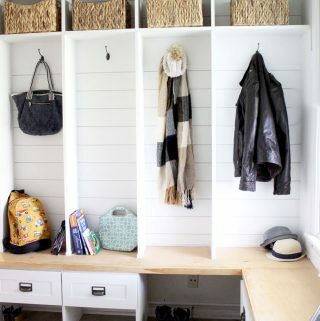 I love it when form meets function to create a fantastic space. Thanks so much for sharing at the #happynowlinkup! This looks so wonderful – you two did a fantastic job! That was a very nice uplift for the front of your home. The railings look great and if there are ever little ones around it will keep them from falling into the garden. A safer place to play for sure. Nicely done. 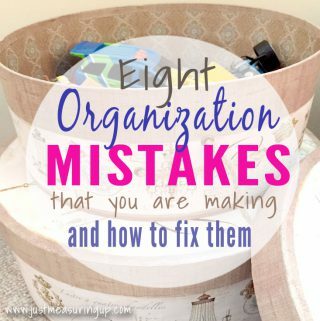 Great to be here on the Blog Hop! Thanks Olivia! We didn’t have kids until we moved to a different house – but the railing was great for keeping our dog from leaping out into the yard and road. Thanks so much, Theresa! We were so happy with the difference! Turned out great! Thanks so much for sharing at AMAZE ME MONDAY! what a transformation! 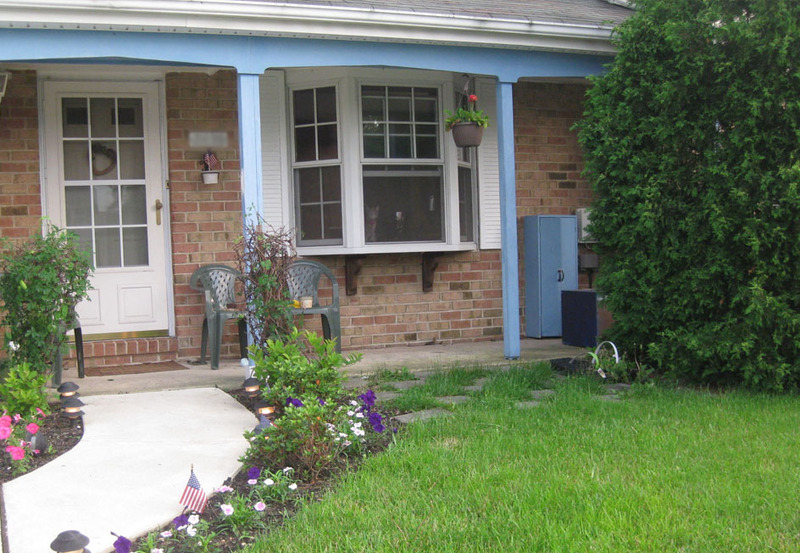 Just added so much more to your curb appeal and I am sure made the porch feel more cozy for enjoying. Love it. What a makeover!!!! I love it 🙂 And your garden area adds so much pizzaz! Great job. Adding the railing seriously changes the entire look of the front of your house. 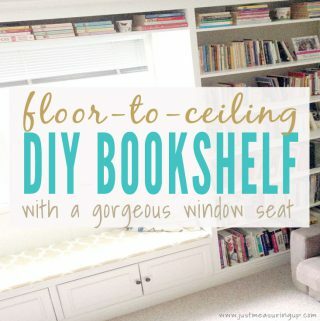 This was a genius idea to add character to your home. You guys did a wonderful job! Thanks so much for linking this post up for the Let’s Be Friends Blog hop! Thanks Chelsee! We were so happy with the transformation. We lived in a huge neighborhood of townhouses, and the porch railings really made ours stand out, especially when we went to sell. Stopping by from Tuesday Talk. XOXO That is such a huge difference!!! It looks amazing! That was really smart thinking on your part. The railings give the front of the house so much more character and curb appeal. And the change from blue to white served to pull the whole thing together. Great joob. I’ll be pinning this. Fabulous job. I love what you did here. What a huge amount of curb appeal you guys have created here, and being a Southerner I am a sucker for a good old fashioned porch, wonderful job! Thanks for sharing it at Friday’s Furniture Fix! Great article about the handrail bolt. Gotta take down notes of these simple yet informative post. Thanks for sharing!